Dr. Jyrki Penttinen has worked with mobile network operators and device manufacturers in the USA, Finland, Spain, and Mexico, and as independent consultant in Europe and Latin America. His technical interest areas include the research and planning of mobile communications networks and mobile TV. Currently, he focuses on mobile security aspects with Giesecke & Devrient America Inc. He also is an active lecturer and contributor to technical publications, such as The Telecommunications Handbook and The LTE-Advanced Deployment Handbook by Wiley (visit http://www.tlt.fi/). In his free time, he enjoys communicating via Morse code at his ham radio stations. 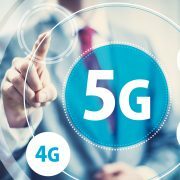 What’s the Story with 5G?